Gunner Hodgson is a longtime friend and schoolmate of mine, going all the way back to elementary school. Both of us growing up as Alaskans, we know that filling the freezer is a part of life and is a yearly ritual. 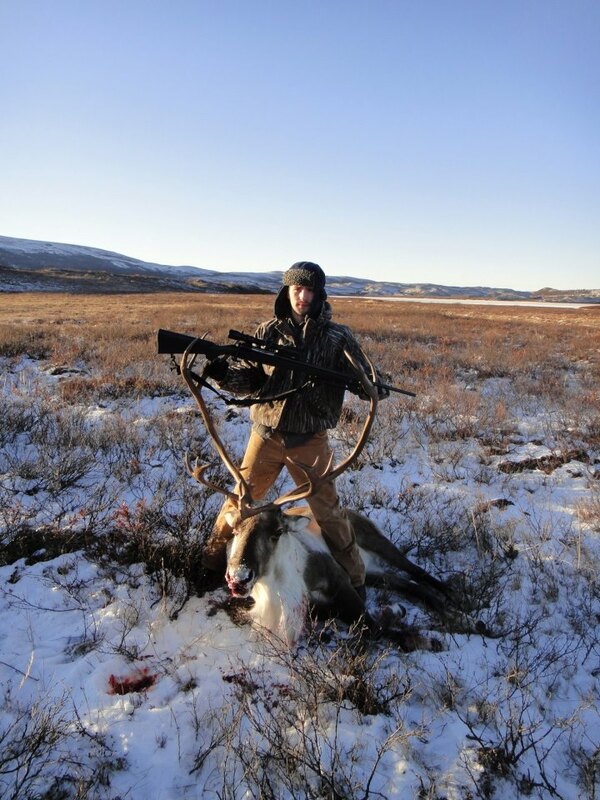 Gunner recently told me a story of his epic caribou hunt with Sean another Colony High School alumni and friend of ours. I asked Gunner to share his story with Mission Alaska, and he wrote us up something special. Thanks Gunner for your insightful article and congratulations for filling your freezer and busting the dry spell. It has been a hard hunting season for me. We spent much of the spring preparing our cabin for moose season after not being up there for a couple of years, so the little bear hunting that we did was not successful. An extremely wet and windy moose season prevented us from flying into our cabin, so much of our moose season was lost waiting for the weather to clear, and the rest of the season simply didn’t produce. A late goat hunt provided a good excuse to get out for the weekend and walk through a mass of thick alder and 6” of snow falling on us in 2 hours, forcing us to fly back home to prevent getting snowed in, again with no meat to fill up the freezer. Luckily, I managed to be drawn for a bull caribou permit. This hunt really wasn’t shaping up either. During an attempted moose hunt in an area where I could have taken my caribou, I put my boat into the water, and though it started, it was only running on 2 cylinders and was unable to take us to where we needed to go to hunt. So far, the hunting season, though providing good stories and great times with family and friends, was just not filling my freezer. When my caribou season opened back up, my grandfather, father, and I were there for opening day. 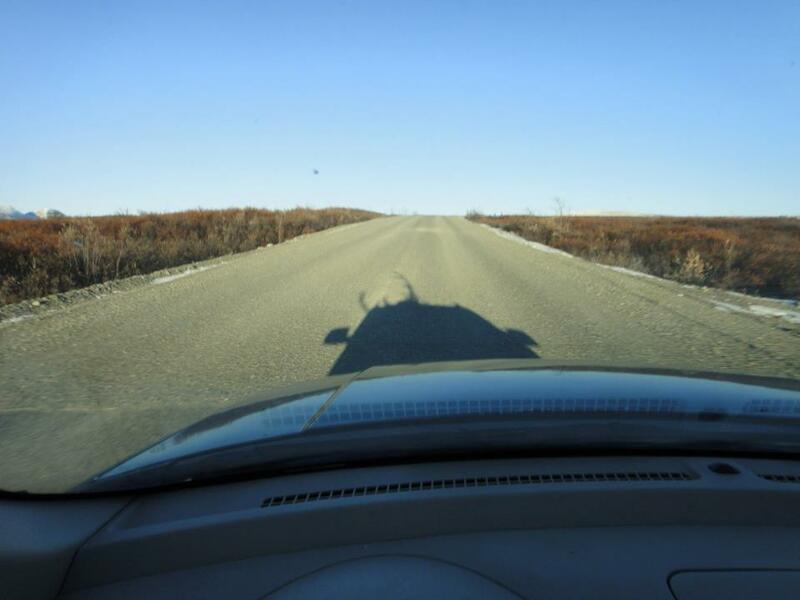 This was a Sunday, and due to the area in Alaska that we were hunting, was a road hunt, and there were a lot of people there. We saw about 20 caribou that day, and saw many successful hunters, but just couldn’t pull our team together to score an animal. Upon my return home, I was becoming frustrated. I enjoy being in the outdoors, especially with my family and friends, but it was disappointing to return home and have to admit to others and myself, again, that I had not been successful. I was fed up. I asked a couple of friends if they could free up a Friday to come hunting with me, but to no avail, people had to work, or had relatives in town. Monday night, during an intense bowling session, I asked my friend Sean, who had just gotten out of the Navy and was excited to enjoy Alaska again, if he wanted to go hunting that Friday. He said he couldn’t, but that his Wednesday was wide open. That sealed the deal. We were to leave Wednesday morning at 3:00 am so we would arrive at our hunting grounds when the light broke. We were too excited though, by the time Tuesday afternoon rolled around, we decided to drive up to our spot that night. This was an exciting hunt for me for a few reasons. I had purchased a new (to me) car last January, and I thought this would be a good time to test its fitness as a hunting vehicle. Almost all of my hunting has been done with my father and grandfather, and I have learned an enormous amount from them, but I am always eager to try new or different modes of hunting from my normal tree stand or sit-and-wait style hunts. Also, though I had known Sean for about 10 years, we had never been very close, so it was exciting, and a little scary, to go hunt with someone new. 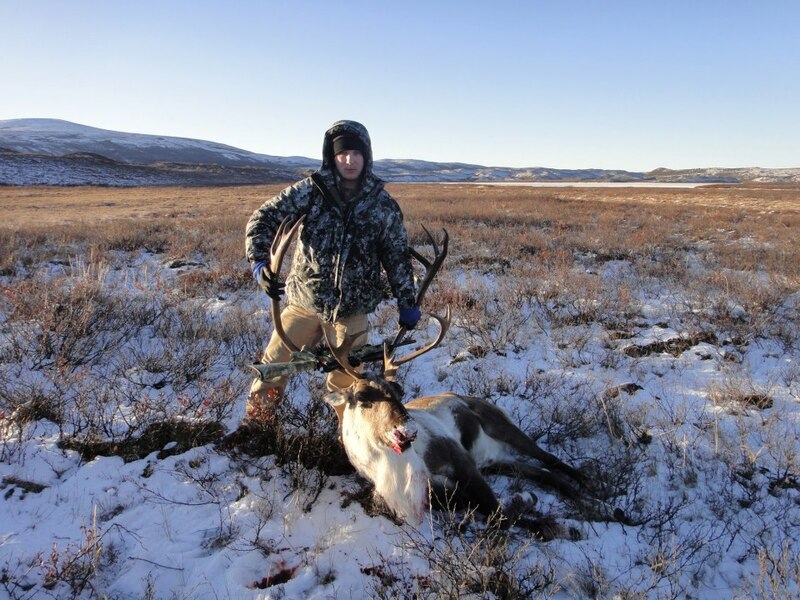 Not only did I want to fill my freezer with some delicious caribou meat, but I wanted to show Sean a successful hunting experience, and I wanted everything to go (relatively) smoothly, not only for Sean, but for myself as well. After a long day of packing we had the caribou in my car, with the head strapped on top for the ride home. We got thumbs-ups from the few hunters that we saw on our way out, and were happy to be heading home successful. My car made the perfect two man hunting vehicle. I found an excellent new hunting buddy in Sean: hard worker, no complaints, comes prepared. And I filled my freezer. I have done this hunt five times now, and until this hunt, none of my pack-outs were more than 300 yards. This was further, but the meat was well earned, and that makes it taste that much better. We had a fun, difficult, quick hunt, and ended the dry streak that had hit my 2012 hunting season. Here’s to the next one! 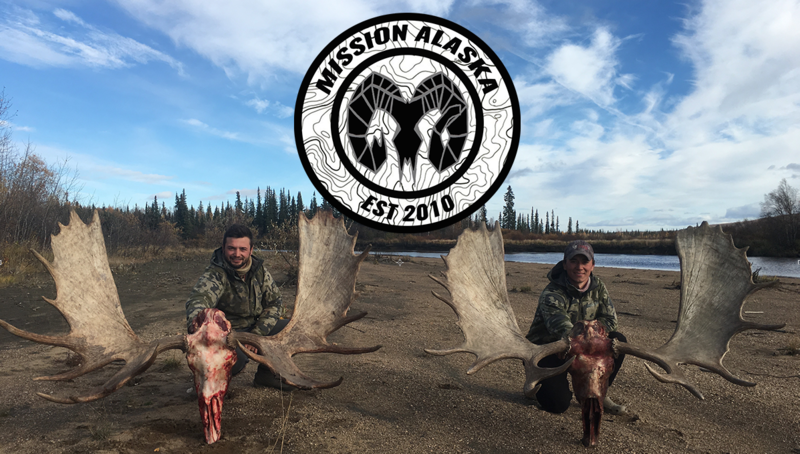 It was an excellent hunt and a great way to reacquaint me with Alaska and an old friend after a six year hiatus. However, I would like to add one small detail. I can confidently say the stream was approximately two feet and three inches deep judging by the portion of my pants that quickly froze. All in all it was a great trip that was definitely worthy of the hard work invested. Thats what hunting is all about my brother! The camaraderie shared with Gunner and the stories to be told afterwards. Getting soaked and loving it/embracing the elements, makes you a better hunter and a better story teller. Keep us all posted on your next adventure!